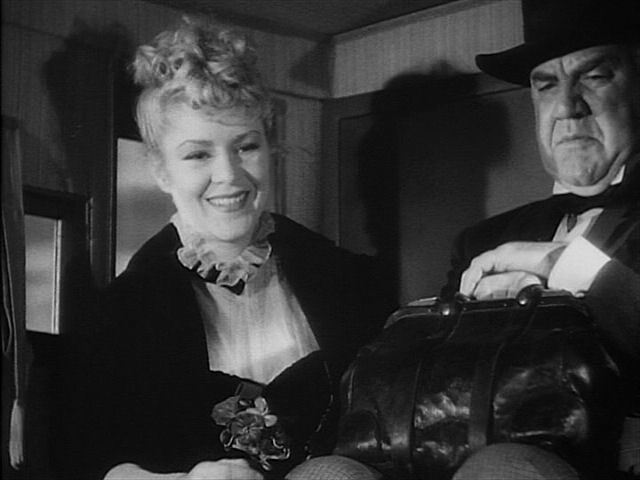 What I love about Stagecoach is that it's an ensemble movie. 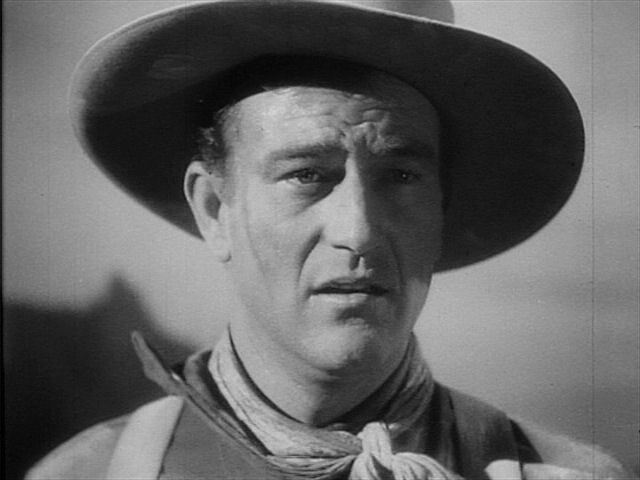 John Wayne has second billing (top billing goes to the deserving Claire Trevor), but it's hard to say that he's the star, even if he gets the last fight. In my photos, below, I've left out several cast members, but it isn't because they aren't excellent or memorable. 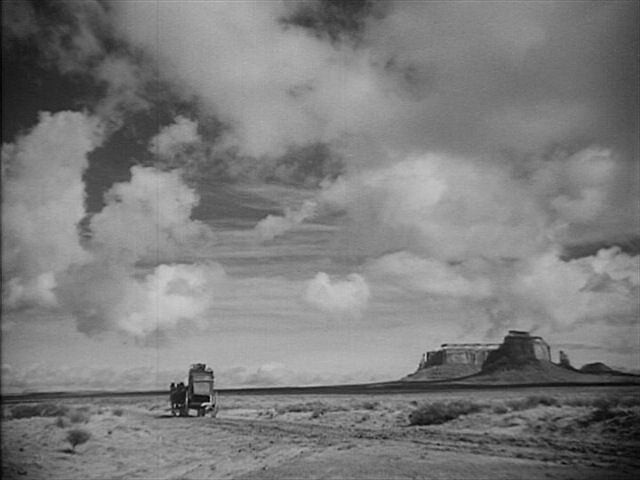 The filming is lovely, the story and relationships engaging and complex, and yet the plot is simple: a group of people ride the stagecoach through dangerous land to the nearest big town. But each of these people has a story to tell, and those stories are fascinating. 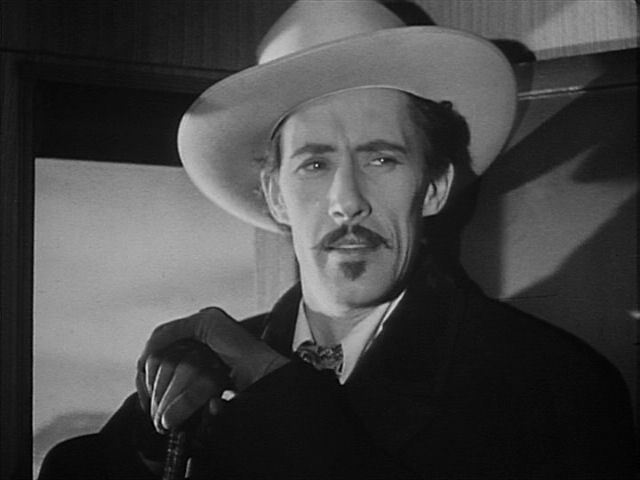 John Carradine, whom I'd only seen in his much later years. 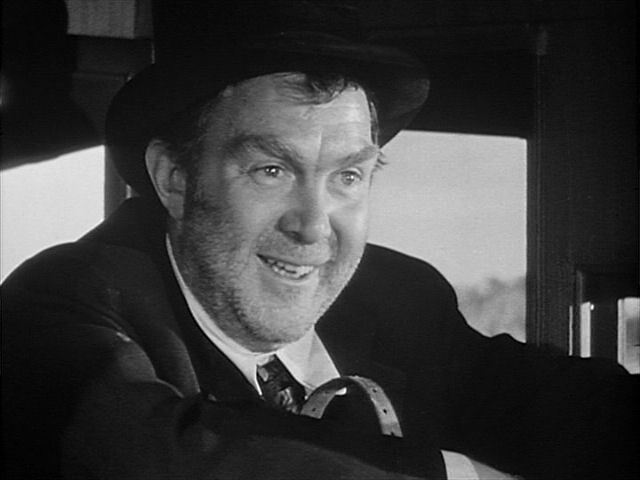 Here he is, the perfect slim gambler of the old west.